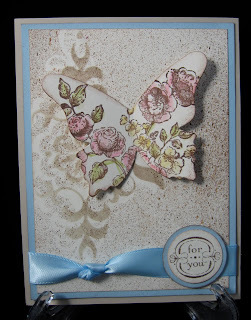 These are the cards you will make at my Open House on Saturday, May 8th. Please arrive between 12 noon and 3p, so you will have plenty of time to finish, and visit. I have two different cards, both with different techniques on purpose. 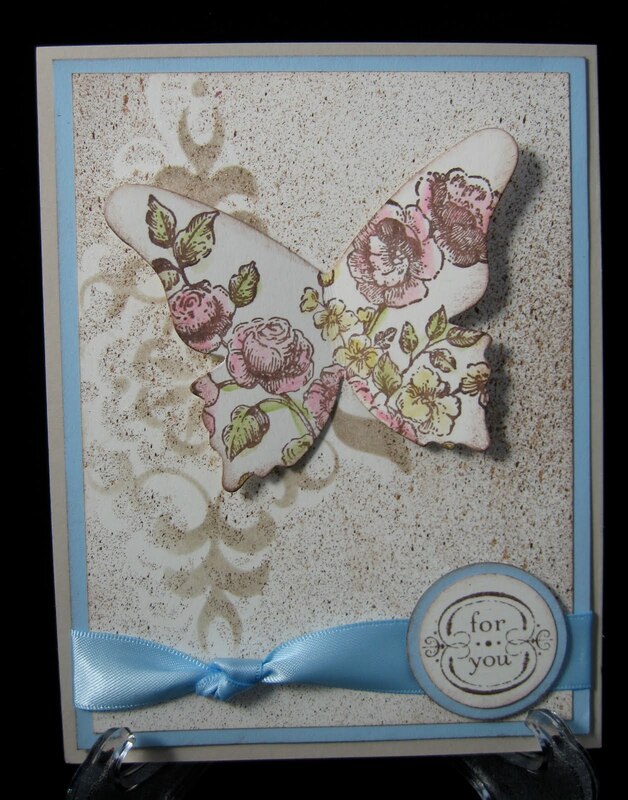 The first card, uses 4 different techniques, with a host of different products. I wanted a card that used alot of product and many different techniques. The second card is a minimalist card - quick and easy. One layer, uses one stamp set & markers. There is a supply fee of $5 to attend. Come out, make some cards, and see the new Stampin' Up! products in the Summer Mini catalog. You will use both clear mount and wood mount stamps, a stencil, some Smooch sprays, meet some wonderful ladies who like to paper craft, and be eligible to win a door prize! Can't make it? Purchase a kit! Kits come with all the card stock cut and scored, along with any embellishments, a supply list, and complete instructions (including color photos). Don't live in Albuquerque, there is a $5 shipping fee. Want to make the cards with your friends? Have a workshop/private party! Share with your friends the joy of paper crafting! Contact me for details! Come back tomorrow to see some last minute, quick and easy Mother's Day cards.